I fix accessibility defects, provide accessible prototypes and train teams in accessible web development. My current technical skills include ARIA, React, Angular and general front-end development. I also enjoy speaking about web development and accessibility. 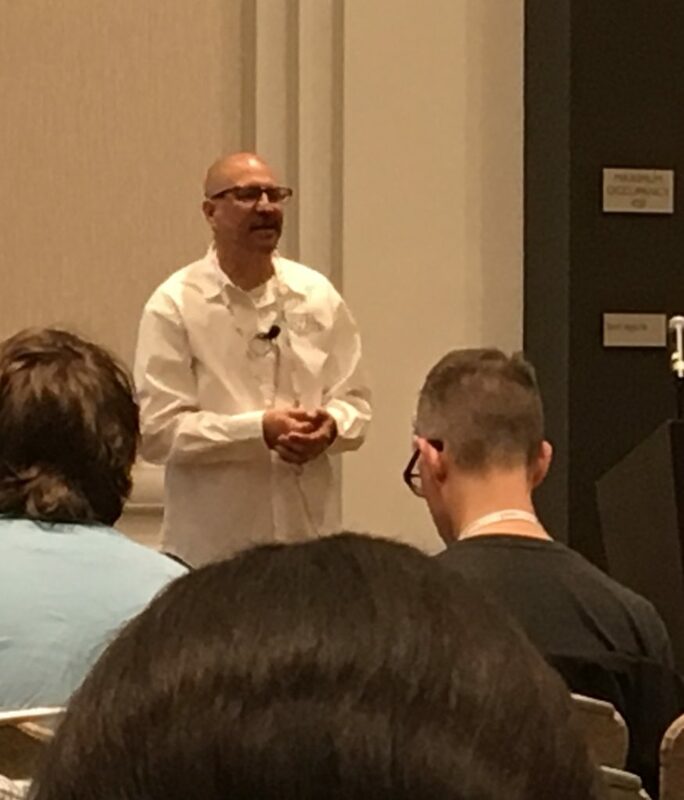 I will giving the following presentation at CSUN 2019 Filling in the Blanks: Accessibility Techniques for ReactJS and AngularJS. 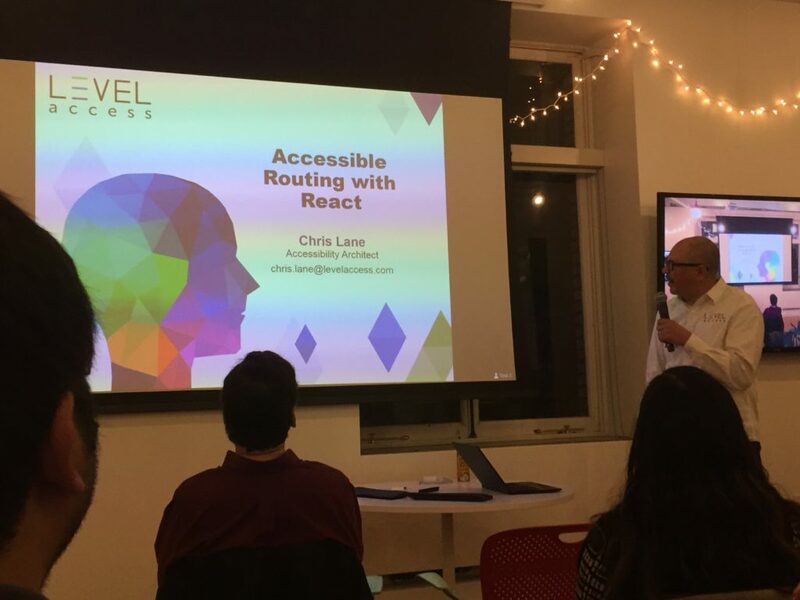 On 12/12/18 I gave a talk called Accessible Routing with React for the Bay Area Accessibility and Inclusive Design meetup group. I also presented a session called Angular 2: Prototyping & Testing Accessible Widgets at CSUN 2017 based on my project A2A11yQuickstart. You can also see me in the following training video about visual focus indication.